We have a number of social events every year, but our major social event is the annual Rose of Tralee Gala Night which was held on May 6, 2018. 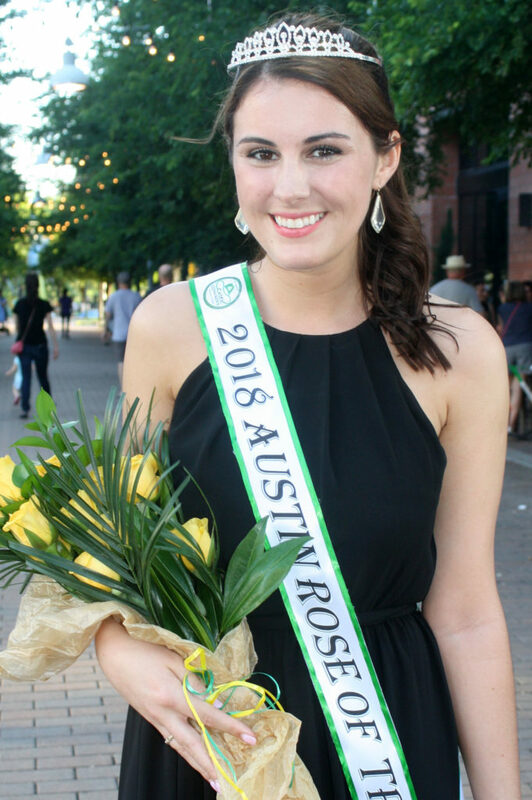 Congratulations to our 2018 Austin Texas Rose of Tralee, Naomi Smyth! Naomi, 24, was born in Limerick, Ireland and currently lives in Austin. Her parents both have heritage linked to Co. Limerick. Naomi is a graduate of Texas Tech and now works at Dell as a Global Supply Chain Analyst. She is active in the alumni chapter of Kappa Delta and a member of WISE. Her hobbies include baking, paddle boarding, hiking and volunteers with animal shelters across Austin. The Rose of Tralee is an International Festival that takes place in Tralee, Co. Kerry, Ireland every August. It is based around the selection of the Rose of Tralee, an international event that encompasses young women of Irish descent from Ireland and around the world. Over thirty international centers worldwide share the goal of fostering awareness of Irish heritage primarily among young women of Irish ancestry, each selecting a Rose with… “The truth in her eyes ever dawning”… to represent their community in Tralee. One of thirteen US centers, the state of Texas sends one young woman each year to the International Festival. The centerpiece of events is the annual Rose of Tralee Selection and Gala. It is here where a single young lady of Irish descent, between the ages of 18 and 28 is selected to be the “Texas Rose of Tralee.” It is these young ladies who participate in the event who give new life and meaning to the ancient Irish Ballad of lost love and perpetual truth, “The Rose of Tralee”. For the past five years we have selected an Austin Rose to represent the Austin community at the Texas Grand Final. We hope that you will take some time to browse through and learn more about The Rose of Tralee and what events take place to foster the awareness of the Irish Heritage and Culture.